The F-TYPE, which is clearly visible to motorists on the M6 motorway, fittingly faces the Sentinel sculpture that depicts the Spitfires that Castle Bromwich was famous for building during World War Two between 1938 and 1945. The tribute is the latest in a long line of commitments from the company as it aims to become the automotive employer of choice for former armed services personnel. 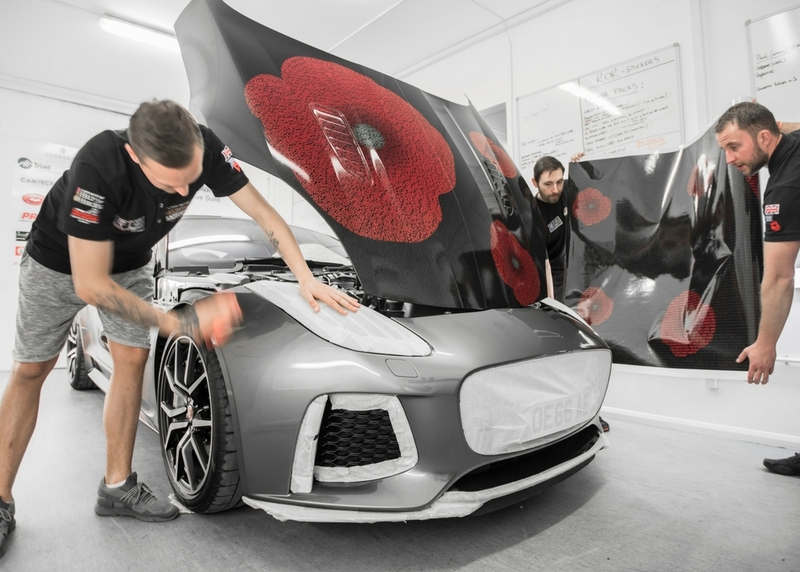 It has welcomed a total of 29 ex-armed forces personnel on to its Wounded Injured Sick (WIS) programme since 2014, 18 of which have found employment with the UK’s largest automotive manufacturer whilst many others have secured roles within the wider supply base. The company is also the headline partner of the annual Invictus Games, an international sporting event designed to inspire recovery, support rehabilitation and generate a wider understanding and respect for wounded, injured and sick Servicemen, servicewomen and veterans. 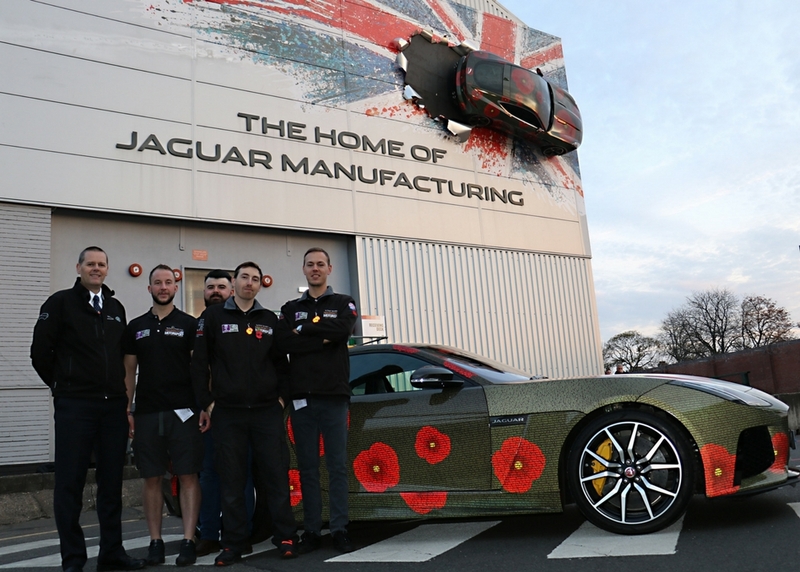 Mission Motorsport, the Ministry Of Defence’s charitable authority on motorsport for recovery, created a unique poppy-themed livery for the F-TYPE, which sits affixed to the outer wall of Jaguar Land Rover’s Castle Bromwich site where the sportscar is built. 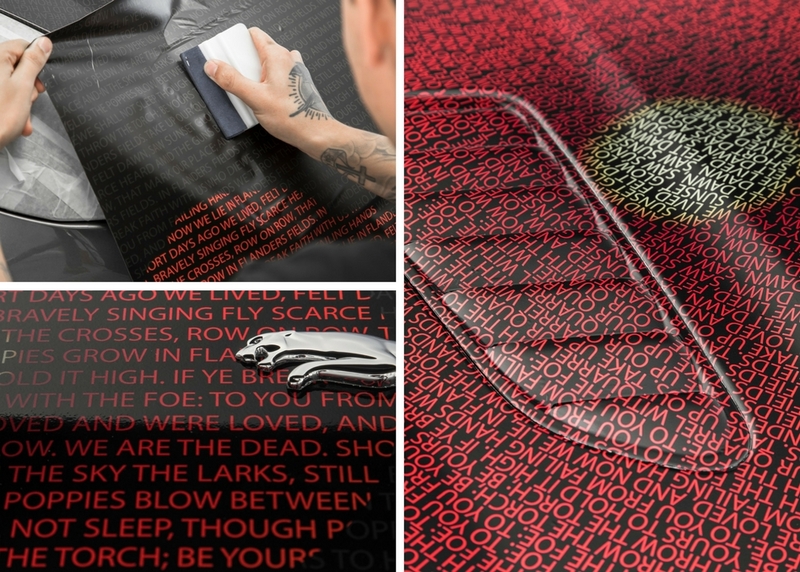 The design, emblazoned with the words of John McCrae’s poem In Flanders Fields written in 1915 in the midst of World War One, was installed by the charity’s team of ex-servicemen who were discharged from active service with physical and mental injuries. 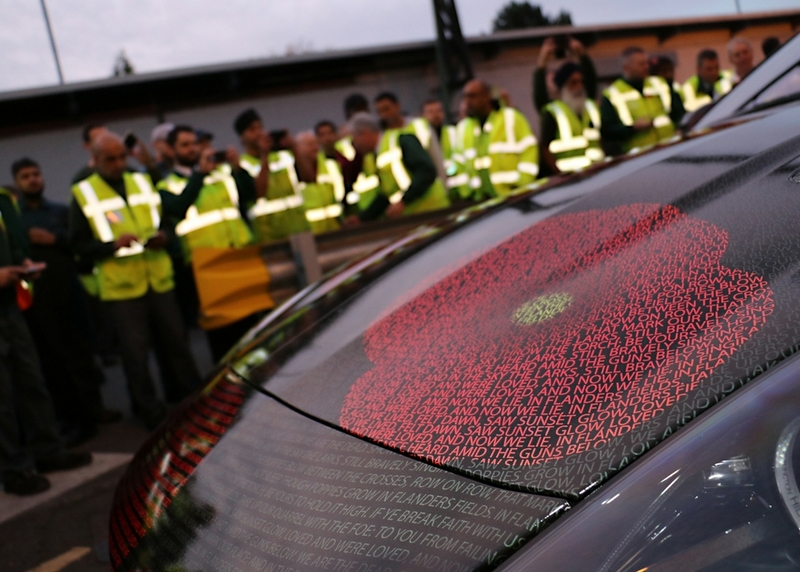 A second F-TYPE SVR was adorned with the poppy design at Mission Motorsport’s workshop in Wantage, Oxfordshire. It will go on a ten-day UK tour in the lead up to Remembrance Sunday, starting at the Royal British Legion’s Birmingham Poppy Day in Victoria Square on Wednesday 1st November. From there it makes its way around Jaguar Land Rover sites and military landmarks, such as the National Memorial Arboretum in Staffordshire, before arriving in Anglesey to play the role of safety car for Mission Motorsport’s fourth annual 12-hour endurance event, Race of Remembrance.